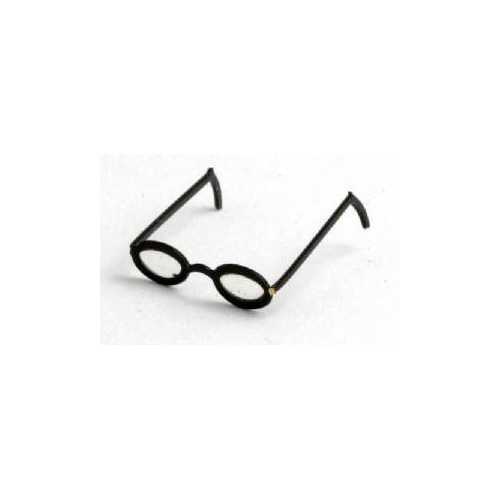 Fantastic miniature round eye glasses in black metal. These glasses even have clear lens! beautifully on a doll head that is 5/8" to 7/8" high. Delicate and witzy eyeglasses, complete with lenses - pretty impressive! Very fine representation of hard-to-find eyeglasses; lenses are a fantastic extra! Do elves make these?